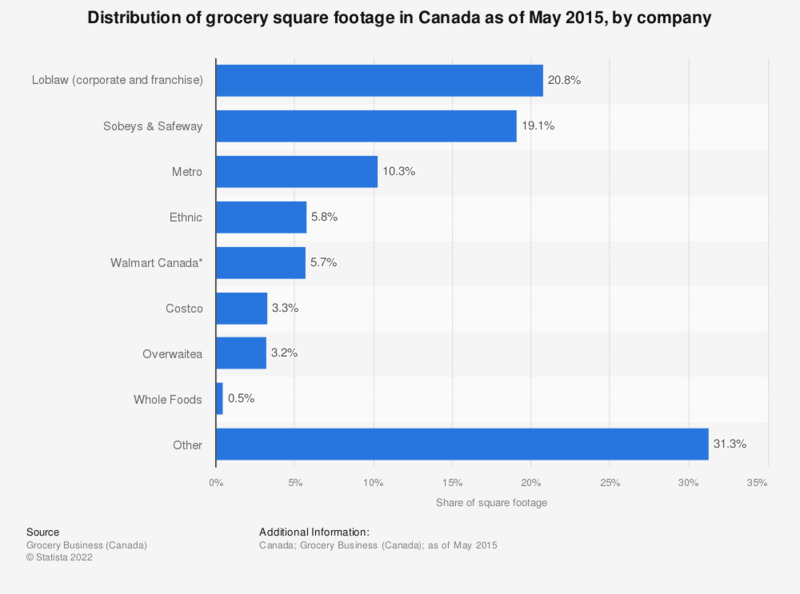 This statistic shows the distribution of grocery square footage in Canada as of May 2015, by company. Sobeys and Safeway accounted for approximately 19.1 percent of grocery space square footage in Canada. * Excludes acquisition of Target Canada leases. When you are buying sweets and snacks, which of the features below are important to you? When you are buying meat, which of the features below are important to you?